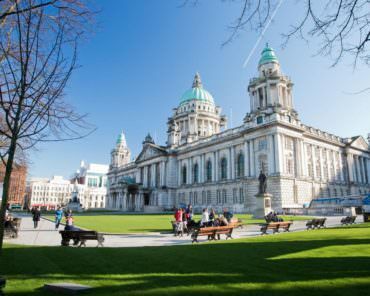 Belfast City Hall is a prestigious site in the heart of Belfast City Centre surrounded by grounds used by members of the public for many different purposes and events such as visiting the Titanic Memorial Gardens, picnic’s on the lawns while watching The Big Screen or watching the building lit up at night. 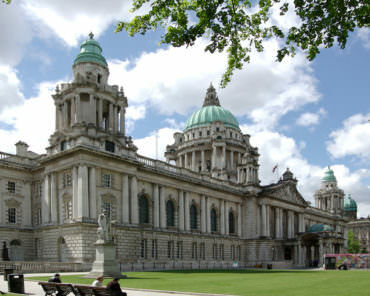 A Continental Market and New Year’s Eve event take place on the lawns of City Hall from November to January each year. 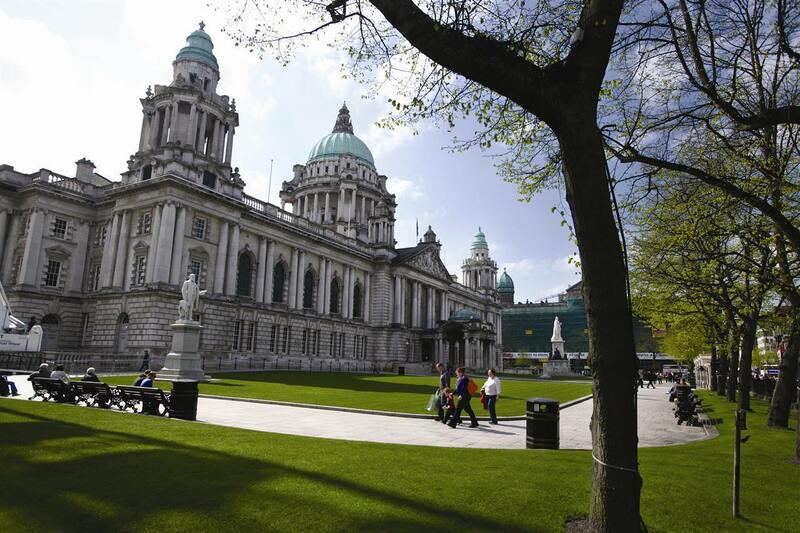 The two main lawns are covered with wooden boards and the adjacent lawns with protective membrane. The Christmas Tree will also be located within the circular lawn. 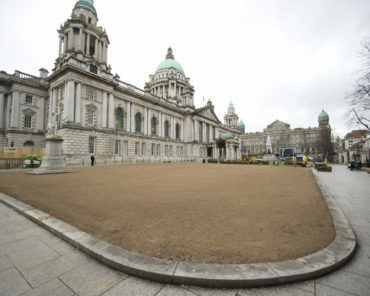 This results in damage to the lawns which require them to be removed, renovated and returfed after the events. 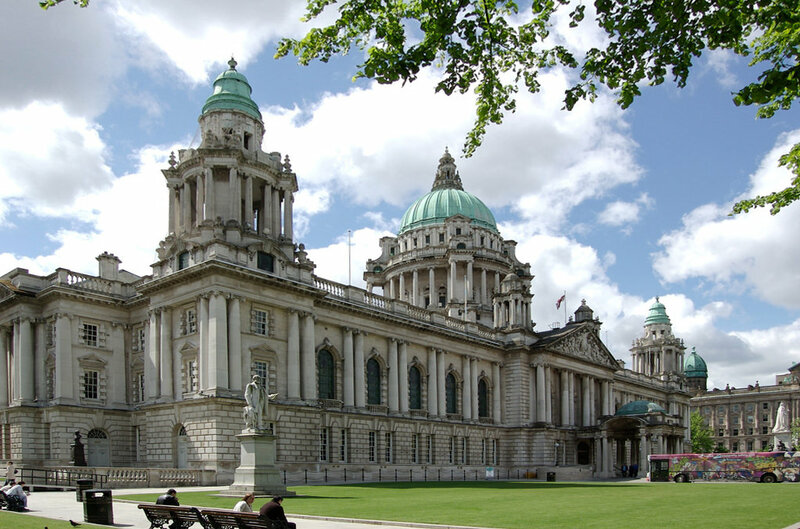 It should be borne in mind that the City Hall is a prestigious site and therefore all work is carried out expediently and to a high standard. 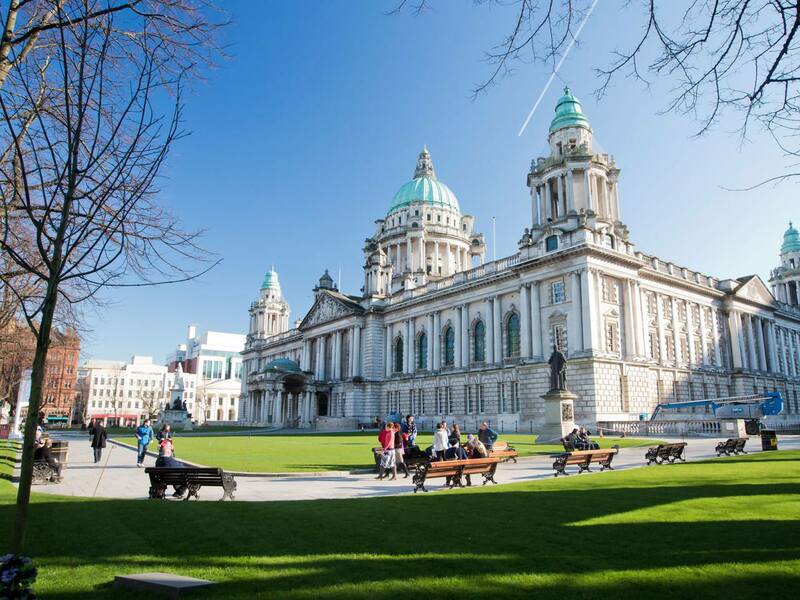 There are underground services located in the area which have to be taken into account when carrying out the works. 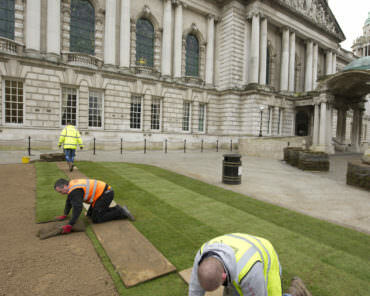 Remove the existing surface and relieve compaction at 1m centres to a depth of 25mm and remove any debris, stones etc. off site to produce an even surface. Supply and apply suitable depth of 70/30 sand/soil mix to make up levels. The mix must contain no rubbish, debris or stones greater than 12mm in diameter. 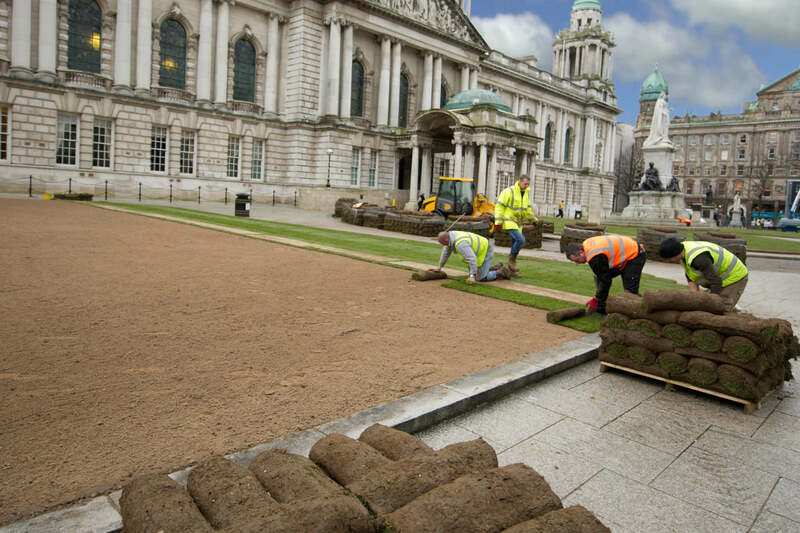 The soil should be firmed and raked to provide a level base for laying of turf so the finished surface is flush with the surrounding kerbs. Supply and apply base fertilizer with an NPK ratio of 8:12:8 at a rate of 35 g/m² and cultivate into the root zone prior to laying the turf. 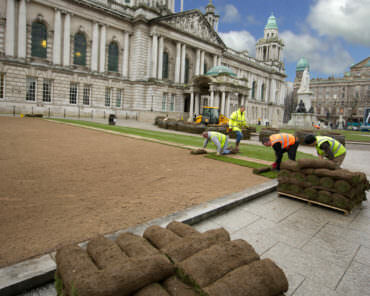 Supply turf which shall be amenity grade with dwarf ryegrass varieties. 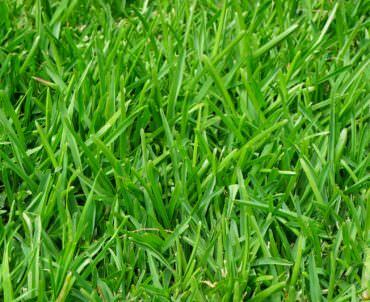 The grass must have a close texture, of even density, be healthy and be green in colour and free from undesirable grasses and weeds. 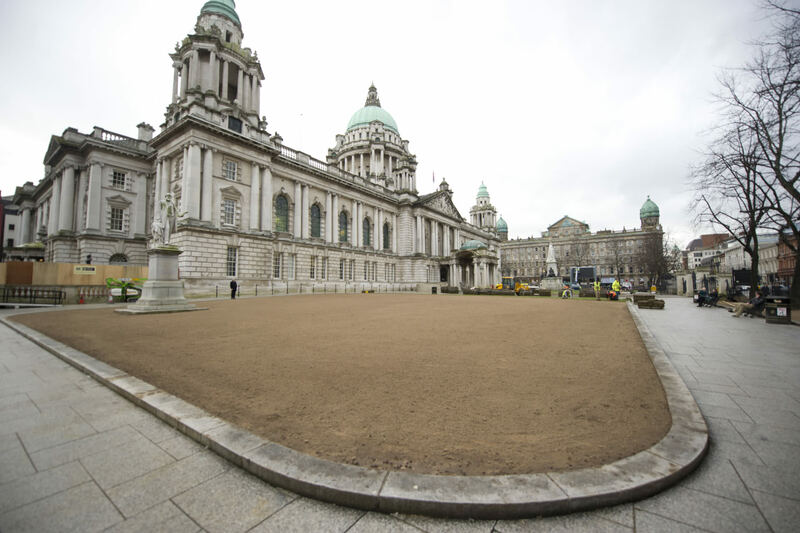 Turfing operations must be laid in stretcher bond, well butted up and levels must be adjusted by raking out or infilling with fine soil and consolidated. All joints must be dressed with sand and brushed well in to completely fill any gaps. Take all reasonable precautions to prevent damage to kerbs and granite paving. Any damage and associated costs will be met by the Contractor. (Due to the granite path surfaces, access to vehicular traffic will be limited). 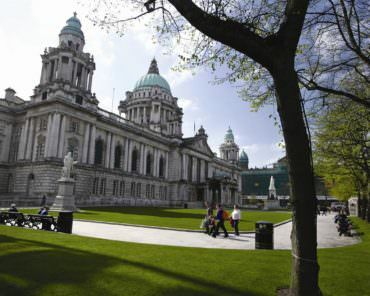 Clive Richardson Limited have carried out the complete renovation of the Lawns at Belfast City Hall for Belfast City Council within a tight two week timeframe at the start of each year since 2017. 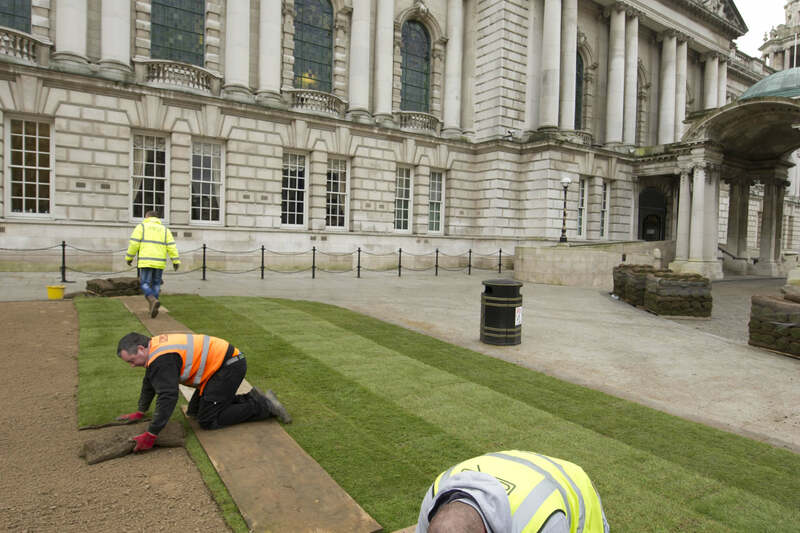 Works followed a methodology set out in the specification, with a team of 8 highly skilled fine turf operatives returning the lawns at Belfast City Hall to their usual immaculate condition.